these mules are my latest target finds. they’re comfortable and look super-flattering on everyone (just take a look at the reviews). honestly, i don’t think i’ve worn kitten heels since my middle school graduation… 13 years ago. i guess it’s time for them to be trendy again! in other news, i’m proud of myself for (evenly!) trimming the hem on my levi’s jeans. they came with a frayed hem, but the length was a few inches too long for me. i matched them up to a pair that hits me right above the ankle and snipped away. i’ll throw them in the wash to help them unravel and fray a bit more. anyway, i'm like a moth to a flame when it comes to post-holiday sales. i thought i would share some of my favorite things i picked up! cute buttons and oversized sleeves? sold. this sweater is slightly cropped and i love pairing it with high-waisted jeans. i'll admit i'm glad i picked it up on sale: it pills like crazy. okay, these were not a sale purchase, but lively's bundle deals are so good (3 bras for $75!). the bralettes–i have this one and this one–are so comfortable. i also picked up their lace strapless bra and it's hands down the best strapless bra i've ever worn. all i ask is for a strapless bra to stay in place and this one does just that. clearly i'm having a rose-colored sweater moment. this one is soft, thick-knit, and has a bit of stretch to it. this sweater has solved all of my "i don't know what to wear?!" kinda days this winter. this winter will be remembered as the winter i fell in love with levi's 501 skinny jeans. this is pair #3. sure, the first day you wear them is nothing short of torture. however, once you break them in, you and your jeans will live happily ever after. chenille has been huge this winter and you either love it or hate it. personally, it has made me super nostalgic for a sky blue chenille cardigan that i had when i was 7 (it was also from the gap!). i don't think i have ever loved an item of clothing as much as i loved that cardigan. well, almost 20 years have passed and i still have a soft spot for chenille. amidst my levi's love affair, i realized i only had one pair of true skinny jeans and wanted to pick up another. these are so stretchy i could probably do cartwheels in them. oh, and they hold their shape PERFECTLY. there's no bagging at all. the save tool on instagram is one of my favorite features of the app. here are a few things that recently caught my eye. 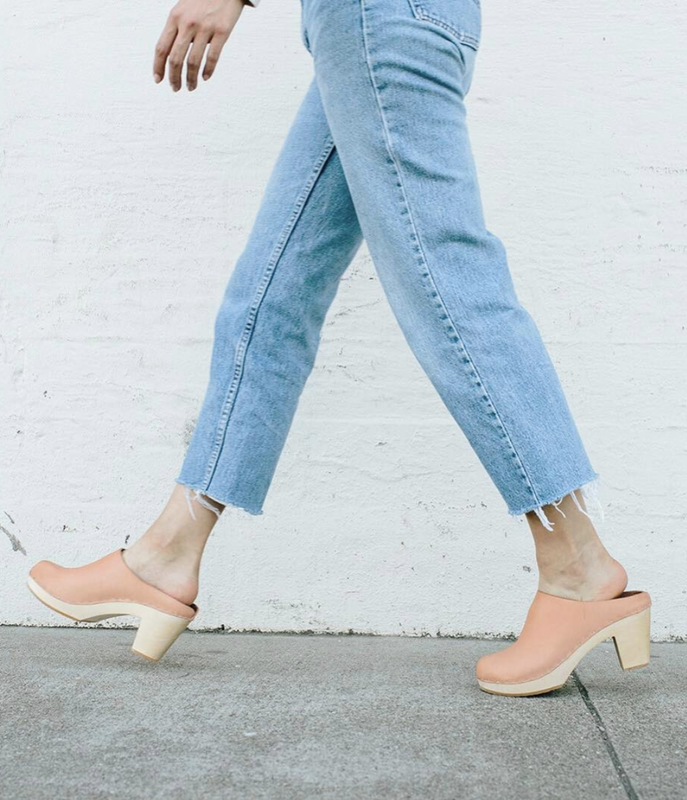 BRYR CLOGS: i've never really cared for clogs before, but after coming across bryr i'm IN LOVE. 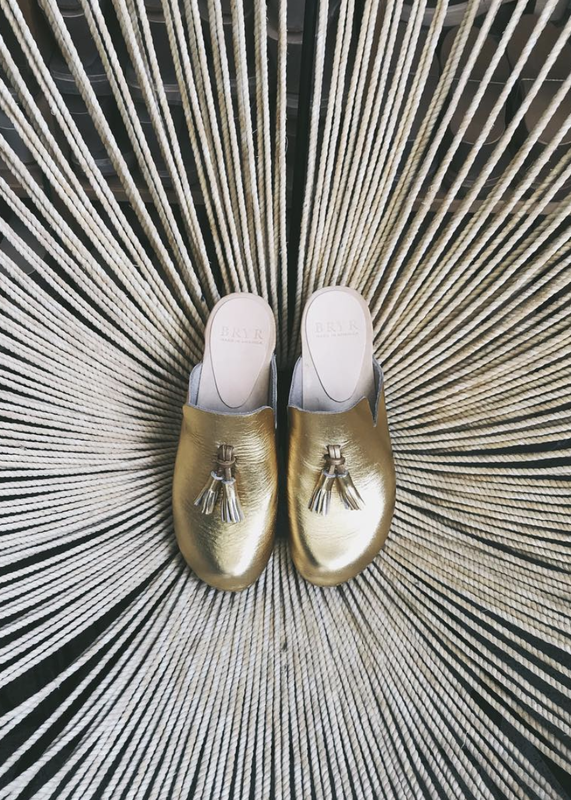 i'm imagining these metallic gold leather clogs + levi's 501 skinny jeans + white eyelet tops as my spring uniform. just top it with a cardigan. done. 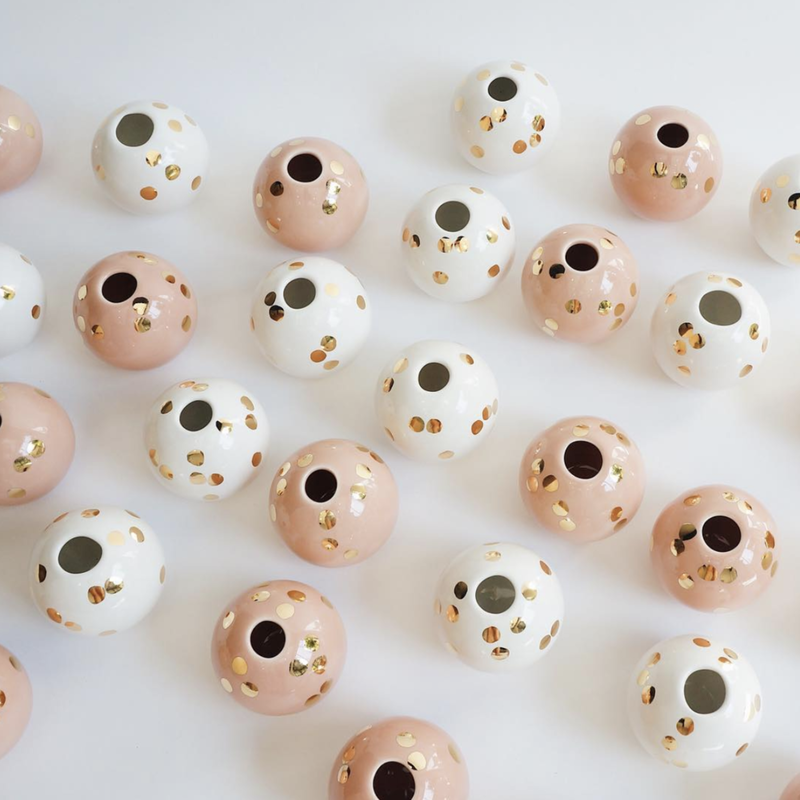 THE OBJECT ENTHUSIAST: the most darling little gold polka-dot vases. CATBIRD: so... question: is there a such thing as too many small jewelry dishes? answer: no, the limit does not exist. 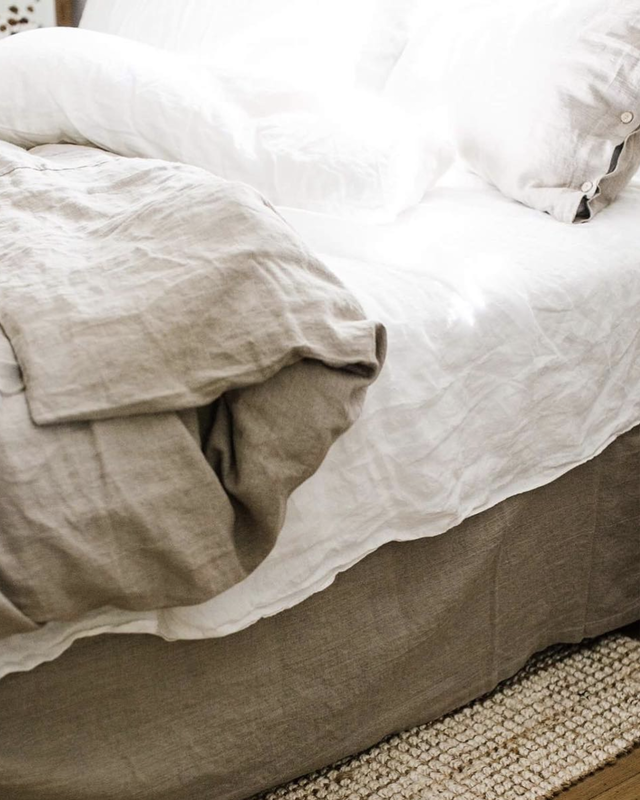 ROUGH LINEN: i want to dive into this bed! linen is my favorite fabric. i can't wait until the day my bed is just a sea of linen. MOTT & BOW: i could use a new pair of black skinny jeans. i'm intrigued by mott & bow. i like how you can pick a second try-on size for free if you're unsure of what your fit might be. HUNZA G: wearing a swimsuit couldn't possibly be any further from my mind (it's currently 5 degrees as i write this post). i browsed through the collection and this blush one piece is my favorite. GOLDEN RETRIEVERS: my saves are 30% videos of golden retrievers, so of course i need to round out this post with a few of my favorites. the dog in this video is too pure for this world, and the commentary in this video kills me. caitlin cawley is a digital content producer, designer, and illustrator, who has a slight obsession with golden retrievers. read more.